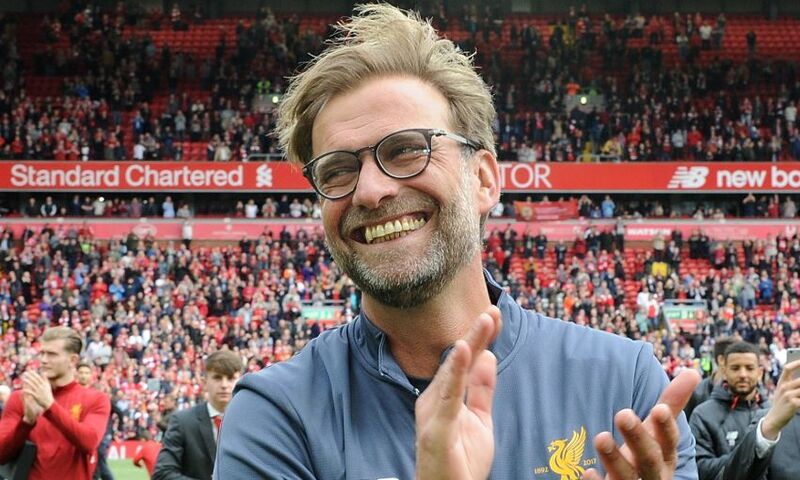 Jürgen Klopp spoke of his pride after watching Liverpool secure a top-four finish by beating Middlesbrough on Sunday and promised his team will be ready for their Champions League play-off in August. 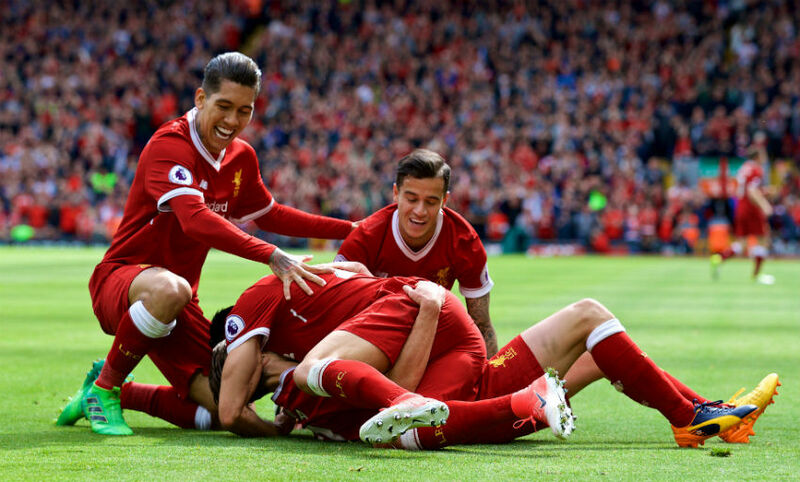 The Reds went into their final game of the Premier League season knowing that victory over Boro would seal their place in the top four. Goals from Georginio Wijnaldum, Philippe Coutinho and Adam Lallana ensured they claimed a vital 3-0 win - leading to words of praise from Klopp in his post-match press conference. The boss also offered his assessment of the campaign as a whole and addressed the prospect of a two-legged Champions League qualifying tie at the start of next season. I’m not sure if that [finishing in the top four] was the target of all the Liverpool supporters, but I think pretty much the second best. For a few weeks we knew that’s the maximum we can achieve and we did it. It feels really outstanding good at the moment. I said in the press conference two days ago that everything is good in this club at the moment, it feels good, but of course we have to deliver results. Feeling on a good way is one [thing], showing you’re on a good way is another thing and I think again we showed today that we deserve this position. 76 points, that’s an outstanding number. We all know what happened in January, I’m not sure all of us agree why, but the explanation is injuries and too many games. We cannot change this, it happened, then the problem in February was that we suffered from the games in January, but then in March we were back on track and got to 76 points, so that’s it. That’s the base we created, we learned a lot in this year about ourselves, so we can use it. Yes, if you want, usually at the end of the season you’re kind of tired, but I could start - and don’t tell the players this! - tomorrow because I’m already looking forward to what we can do. We can qualify and all that stuff and it will be a good pre-season, so I’m really looking forward to it. I’m really proud of the boys, they did well. It was a good start in the game and [then] it became a little bit more stiff. If you don’t score in these few moments, you get a bit more stiff, you feel the intensity of all the ways. Middlesbrough defended deep - that’s absolutely OK - we had not good timing and then we scored this one goal but the main target was to defend better in the second half, because we thought pretty much each long ball was half a counter-attack - that makes no sense when you have the ball 90 per cent. That was the thing we wanted to change, plus better timing in all our movements because we had the right positions but in the wrong moment. After the second goal, I think everybody could see how good we can be and it was never easy, but it looked then very good. That’s probably what everybody wished before we started today and now we have it and we should celebrate it. Money-wise? We have enough money. That’s a difference, of course. We don’t hide more money then get it when we need it, it’s a normal business. It’s a sports thing that is interesting, of course it’s interesting that there is money, but it’s the best tournament in Europe, there’s nothing better, maybe in the world. For me, it’s the best competition, you want to be there and Liverpool needs to be there consistently. I love the perspective, I would not say we’re already in because qualification is qualification and we’re already looking forward to it. We will be really strong and we will really fight for it because we want to be there and it’s all good. It’s a fantastic competition and I think in the last 10 years Liverpool was not part of it too often, three years ago once only maybe. We should try everything to change this, we have to make steps and the step for us to be around the best teams in the world because we are one of the best clubs. The Reds celebrate Lallana's goal. Click here to view a full photo gallery. We are already pretty much done. What do you think? Tomorrow I will sit with Michael Edwards and say ‘What do you think?’ What do we need?’ Most of the work is already done. Now we have decisions that need to be done, negotiations or whatever. But it’s all good and we are prepared and we will see what will work out and what won’t. There is no training in the next few weeks. We fly tomorrow night to Australia, we have a game, then fly back and the holiday starts for all of us. I have a little bit of work to do, but I worked in my life properly when I was younger so it’s not really work - it’s a few phone calls and a little bit of talking about wonderful things like football, Liverpool and other things, so it’s good. I didn’t think before the start of the season about it, but yes the target from the beginning was to go there so we needed to create a team that could do it. We all know we had no European football, so for us, it was not that [much] an advantage because we had injuries. Without injuries like Chelsea - and I don’t want to make it too big - we could have had a few points more and it would have looked a little bit different. We had these injuries, but in the first part of the season I knew we were ready. But that doesn’t mean anything and you have to do it because there are a lot of games to go after this moment. It was long, it was really long. I don’t know the specific moment, but I knew after we beat Arsenal there in this manner [on the opening day], it should be possible. In a lot of games, we played really outstandingly good football and that showed what we can do. When you don’t do it anymore, everybody is asking why, why is it not that fluent anymore and where is the plan B, C and D? We always knew that the way is OK; we have to accept a few parts of our situation and do work on the other parts of our situation. That’s what we did and in the end 76 points is really difficult to get and we have them, so good. Obviously we are not confident enough in general, that’s how it is. Always when something doesn’t work it always feels like something slips through your fingers, so it’s like ‘Oh, again like this, again like this’ so I am really happy that we achieved a little bit of something we didn’t achieve in the past too often [a top-four finish]. Not because I am vain and want to show we can do it, but because I am interested in the way and for development you need to feel the improvement, you need to feel the next step, that it’s right. That’s pretty much all and I’m really happy about the situation and to learn. I hope it has given us a little bit more confidence in general and we can work with this. That will be good. My target is always to be 100 per cent fit for the first matchday. You cannot have the rhythm, but then the other team probably has the same situation. We have time and we will prepare seriously, like we have to.